Kalahari Books - Renascence and other poems. Home Kalahari Bookstore Poetry Renascence and other poems. Poetry Renascence and other poems. 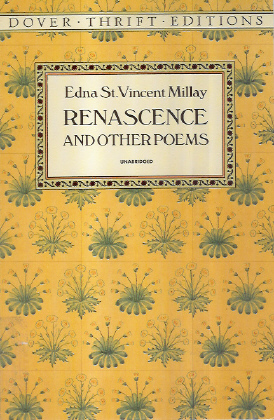 Author : Millay, Edna St. Vincent. Publisher : Dover Publications (Dover Thrift editions). Good paperback reading copy of one of the U.S.A.'s favourite poets.